Home Off Beat	Web designing on the body! Structural, presentational and behavioral are the three layers or aspects of web designing. Structural = HTML, presentational = CSS, behavioral = DOM and scripting. Wondering why Iâm talking about web designing here? 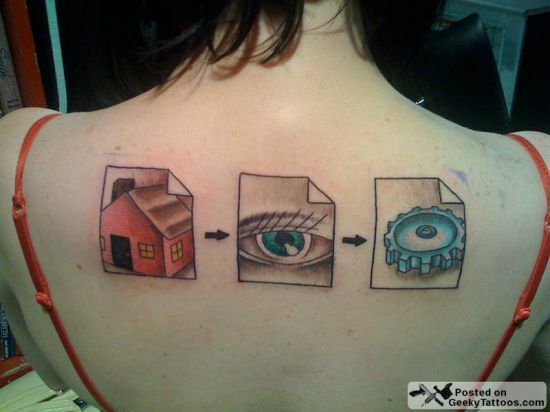 Well, the tattoo pictured above is all about web designing. The three little tats represent the three layers of web designing. Iâve witnessed innumerable amazing tats but never thought someone would ever come up with such a cool tat! This tat is adorned by Lynn, a Front End Developer, done recently over at Momâs Body Shop in San Francisco.